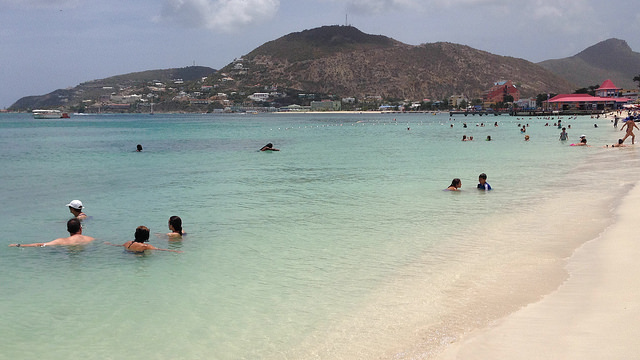 Your greatest option for a beach lovers cruise vacation is sailing around the Caribbean Sea. Cruises to the Bahamas and greater Caribbean region offer beach enthusiasts the greatest opportunities to discover and enjoy beautiful beaches. I have had the privilege of experiencing twelve (12) different Caribbean cruise itineraries and the joy of visiting many beaches in the West Indies. Yet, I love to visit the beach. I am not quite sure what the reason is, but I am a beach lover. Consequently, whenever my family takes a cruise vacation, I always want to get to the beach. In some cases, we are blessed to visit two or more beaches on a particular cruise sailing. This depends on the length of the cruise. Shorter cruises (3-5 days) may visit one, two, or three ports of call, while longer cruises (7-days to ….) will call at several more ports. My best Caribbean cruise for visiting beaches happened in 2015, aboard a Carnival Cruise Line ship. We sailed with Carnival Liberty out of Puerto Rico and visited five (5) ports of call: St. Thomas, St. Maarten, Barbados, St. Lucia and St. Kitts. All the above mentioned islands have beautiful beaches. I started out by saying that I cannot swim, but I love to visit the beach. I really do, but I am particular about the type of beach I enjoy. For example, the whiter the sand and clearer the water, the happier I am with that particular beach. 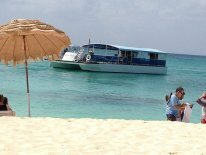 I will now mention some of the beautiful beaches I have visited via inclusive Caribbean cruises. I will also share photos of four of these beaches. Look for future webpages on which I will feature a particular Caribbean beach, show a self-recorded video of that beach and talk about how you can get there on a cruise vacation. 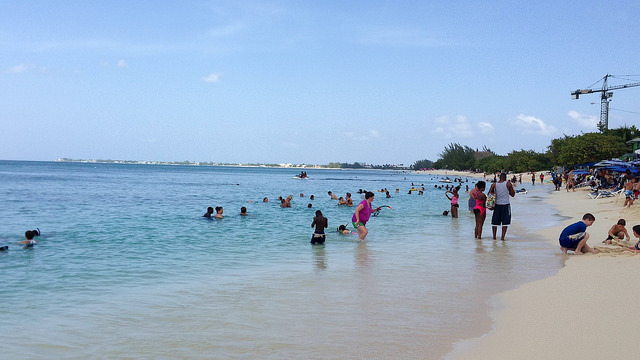 One of the best beaches I have discovered from cruising is the Seven Mile Beach on Grand Cayman. This tiny island is a part of the Cayman Islands, which are located northwest of Jamaica. 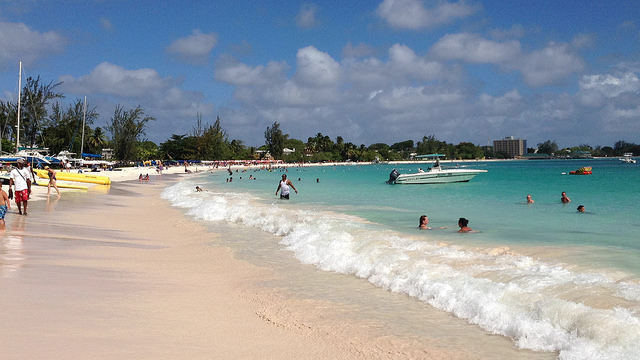 When I visited the Seven Mile Beach for the first time in 2011, I fell in love. We had a short time to spend at the beach and it was very difficult to leave the water. 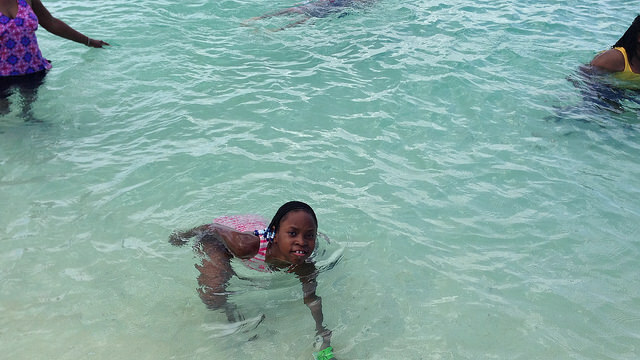 See photos below of how beautiful the water is and how white the sand. Immaculate! How About Those Shots of the Seven Mile Beach! 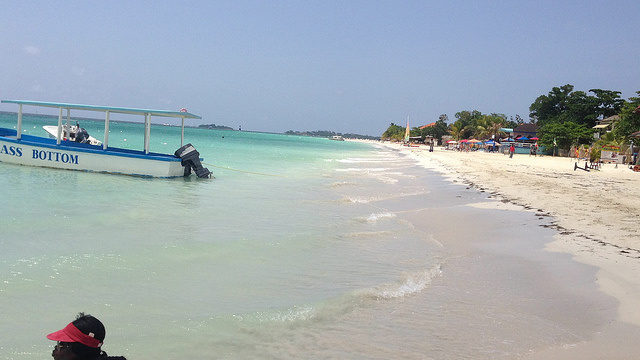 I have shared a little about my experiences with beaches in the Caribbean. Do you consider yourself a beach lover? If you have visited a Caribbean beach, via a cruise vacation, and you really enjoyed it, I invite you to share your experience and knowledge. Below is an invitation to share your story. Please choose the best title to describe your experience and write something. Even better, kindly add photos of the beach/es you visited. 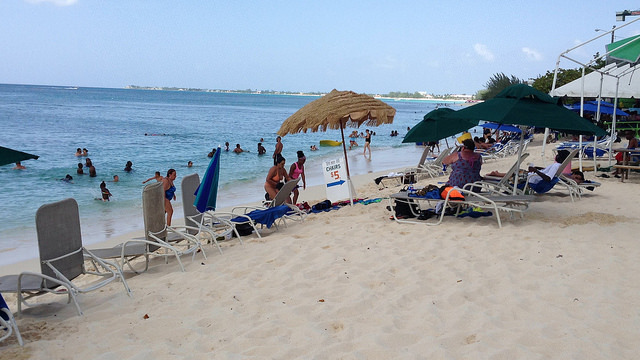 Have You Cruised To A Caribbean Beach? Do you have a great story about this? Others want to hear about it. Please share it! Let us explore new Caribbean beaches together. Yes, I am inviting you to join me on an annual Caribbean cruise to visit, experience, and then write about newly found beaches in the Caribbean. Once again, there is a place below to indicate your interest in joining fellow beach lovers on a cruise vacation to experience “new” beaches. As I mentioned above, there is no better place for beach lovers to experience the best beaches than in the Caribbean. Also, there is no better way to get to these beaches than on a cruise ship vacation. 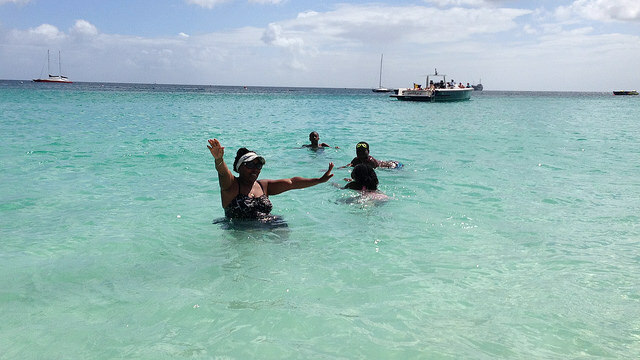 Let us band together, beach lovers taking cruise vacations, to explore the many great beaches of the Caribbean.